Moving Service has been operating for over ten years and it is thanks to customer recommendations that our removals company has grown and developed tremendously. Over the years, we have handled all kinds of moving scenarios, but we have managed to deal with them all. Therefore, we have the experience to make your move from London to Norway easy and effortless. Even if there is a problem along the way, there is no need to worry, because we will have it sorted in no time. That is what we are here for. Although moving is known to be one of the most stressful chores you will face in life, it really doesn’t have to be entirely hectic. It can be stress-free and we intend on providing all our customers with stress-free moves. If you are moving from London to Norway now or in the future, it should not have to be hectic, it should be enjoyable instead. It should be an exciting adventure and we intend to make it just that. Please call our office today if you are interested in hiring us on 020 8746 4402. Don’t wait around – get a move on with it. Norway is a beautiful country known for its amazing scenery. It is a sparsely populated country, with just a population of 5 million people. This country is situated in the North of London and it borders Russia and Finland. Thanks to its beautiful scenery and countryside, it makes it the most appealing destination for those with a passion for hiking and cycling. This country has endless routes for hiking. Whether you are looking for an easy hike or a more complex one, Norway offers it all. Some of the areas are national parks, but generally, most of the areas are accessible to hikers. 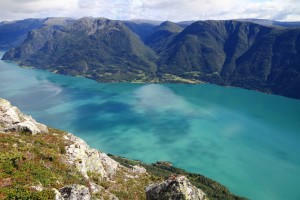 Or if you are more of a cycling enthusiast, you will love it in Norway because there are numerous routes in the country. And you can rent a bike from practically everywhere in Norway. Skiing is also popular in Norway – both alpine and cross country skiing. 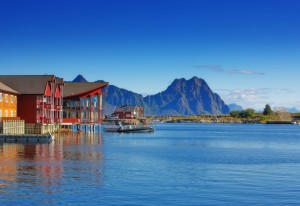 Places to see in the country include Atlanterhavsveien, Lofoten, Nordkapp, Jostedalsbreen and many more. For your Norway move, choose Moving Service. We are the best removals company in London in regards to our services, prices and staff. Our prime aim is to make our customers happy. If they are happy, we are happy. Here, we believe that organisation and careful planning is the key to a successful and smooth move. Therefore, in order to do this we provide each and every customer with a moving checklist so that they know precisely what they should do beforehand. This really provides structure to your move and that is exactly what you need. Without a good plan, you are only heading a catastrophic move. Moving abroad is not easy. Firstly you have to say your goodbyes to all your family and friends, and then you have to tie up loose ends and so on. And then, of course, there is all the planning and packing you have to do. These tasks require time and energy. If you don’t have either of these things, it would be sensible of you to hire help. And there is no better removals company to choose than us. With our great services, skilled staff and reasonable prices, we can make your move hectic-free. If you would like more information on the services we offer, or if you’d like to book a date for your London to Norway move, call us on 020 8746 4402.